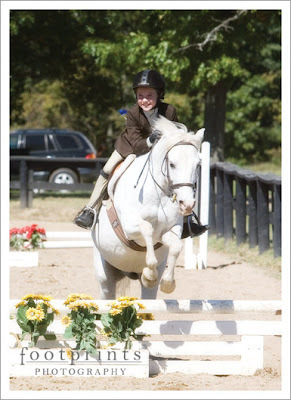 The Art of Simplicity: Life after Pony Finals . . .
Life after Pony Finals . . .
Well Horse Show season is over. Pony finals were this weekend and my girls did AWESOME! We have absolutely the best trainer. And of course my girls are extremely talented. I am so excited for life to slow down and I can concentrate more on just my clients and my kids. No more getting ready for pony shows, until March/April. Woo hoo! This is my ten year old when she knew she had a perfect trip, winning her the blue ribobon. Look at that grin! I am so proud, I am gushing! This was her last show on 25 year old Lunar, she has won too many blue ribbons to compete in Short Stirrup and will move up to Novice and Children's on her new pony Dazzle. 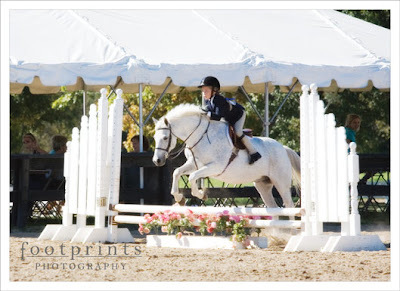 Novice and Children's jumps are too high, and probably too much for Lunar to do. And this little beauty is my seven year old, she had a great show too, won a blue ribbon in the Hunder Classic. Which means she won $42 towards her classes. I am so proud her her, she is such a tough little girl. Life is good in the Drallos household, and I think we are all definitely ready for this break. My Christmas season is in full swing and I have about 40 phone calls to return, so I will bid you all farewell, until next time. I promise to post some client pics soon, and not just horses. hi my name is Paige. I am starting to get into photography. 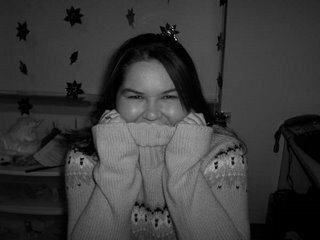 I just wanted to let you know that I think that you are an amazing photographer. Ihope you don't mind but i get alot of ideas from your pictures. Keep up the great work! Anyway, thanks for being such an inspiration, your photos inspired my photography passion a couple of years back, so I'm truly grateful. btw, I've still been meaning to email a larger version of the picture I drew of your one photo of the boys feet and the frog, just haven't got around to it, I will soon though! Hope you and your family have a great christmas and new year.